Save time queuing and book the Prague Day Tour in Advance and get your bearings of the city with your very own guided tour. Here is our list of the 8 must-see attractions in Prague. Take a tour on a tram, a vintage car or even on a Segway! The Castle, one of the highlights any trip to Prague. Take in lunch on the way. This fairy tale castle on a hill overlooking the Vltava River is the most popular sight in the city, reflecting the city’s “Bohemian Baroque” architecture. The seat of Czech rulers for 1,000 years, today it houses the office of the Pesident. Contained within the castle walls are three courtyards, beautiful gardens, shops, and restaurants. St Vitus Cathedral, a Gothic landmark of the city started in 926 that has always been the center of Prague’s religious and political life, is in this giant castle. The cathedral has 21 chapels as well as its most famous archway, the Golden Portal entrance , containing a mosaic of The last Judgement dating back to 1370. Awe inspiring architecture, St Vitus is located inside the castle grounds. Charles Bridge, one of the busiest and romantic spots in Prague. Busy, but worth it for the views! Take the grand city tour including the bridge! The Astronomical Clock, rings on the hour, every hour, try and aim for the 12 noon show! The best place in Prague. Try to avoid during the busier times to get the most out of it. Everytime you walk past this place you will stop and stare at the beauty, and maybe understand why the designer had his eyes taken out. The best way to get an understanding of this place is not the tour guides, but the locals. If you get the chance, spend a night with some Praguers and get them to tell you about this place; it means so much to them. The Old Town Square, the highlight of any trip to Prague with great restaurants, fairs and architecture. Take a private walking tour of the Square. Prague’s most imposing edifice, St Mary’s Church, visible from almost everywhere in the city. One of the symbols of Prague, the Church of the Virgin Mary Before Tyn is the dominant feature in the Old Town. The church was built in the 14th century and used to be a primary place of worship for foreign merchants visiting the city. Take a night tour of the city! 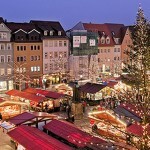 Take a whole day to explore the old town, with some fascinating shops and bohemian cafes. The heart of Prague, Old Town is filled with many houses, churches and other structures dating back to the 13th century. Notable structures include the Old Town Hall and Astronomical Clock, the Carolinum, the Municipal House and the Estates Theater. Take a segway tour of the city! The Lesser Town, home to some of the finest art galleries and stores in Prague. One of the most historic sections of Prague, the Lesser Quarter features many Renaissance burghers’ houses, baroque palaces, narrow lanes and spacious squares. For a complete list of tours, dinner cruises and more available in Prague, check out our Tours section and plan and book your tours in advance.